Walter G. Moss is a professor emeritus of history at Eastern Michigan University and Contributing Editor of HNN. For a list of his recent books and online publications, click here. His most recent book is "An Age of Progress? Clashing Twentieth-Century Global Forces" (Anthem Press, 2008). What do we mean when we call ourselves or someone else a “liberal”? In his Political Dictionary (1978 ed.) columnist and former Nixon speechwriter William Safire wrote, “Currently one who believes in more government action to meet individual needs; originally one who resisted government encroachment on individual liberties.” A typical modern-day U. S. liberal would embrace both goals, especially government help for those most in need and, a la the American Civil Liberties Union (ACLU), defending civil liberties against various intrusions including government spy agencies like the National Security Council. But Safire is correct in indicating that the meanings of liberal and liberalism have changed over the past few centuries. The great value of Edmund Fawcett’s Liberalism: The Life of an Idea is that it enables us to understand the meaning of liberalism in its historical context, both in the Europe and the United States. A key question, however, is whether today, we wish to use the narrower evolved definition that Safire suggests or the broader, more inclusive one Fawcett maintains. Although this reviewer prefers the former—referring to Margaret Thatcher and Ronald Reagan as liberals, as Fawcett does, just seems wrong—I’ll grant the logical consistency of his treatment. Most of the individuals Fawcett includes as liberals (more than fifty are mentioned in the Table of Contents) would please most U. S. liberals. They include: John Stuart Mill, Abraham Lincoln, John Maynard Keynes, ACLU founder Roger Baldwin, Supreme Court Justice Louis Brandeis, Franklin Roosevelt, George Orwell, Albert Camus, Walter Lippmann, John Rawls, Lyndon Johnson, and Willy Brandt—note that they are taken from the four countries that Fawcett sure-handedly limits his study to: France, Britain, Germany, and the United States. But most modern-day U. S. liberals would not agree with his inclusion of not only Thatcher and Reagan, but also of others such as Friedrich Hayek, Herbert Hoover, and the New York neoconservatives Fawcett mentions. Still others, like Britain’s Joseph Chamberlin and other “liberal imperialists,” today’s liberals may wish to disown as they might a reprobate grandfather, but by the author’s benchmarks they are part of the diverse liberal family. Knowing that the Englishman Fawcett was for decades a journalist for The Economist, including being its chief correspondent in Paris, Berlin, and Washington also helps explain his approach and expertise. In a 2013 blog essay, the British publication founded in 1843, claims that its “liberalism . . .reconciles the left’s impatience at an unsatisfactory status quo with the right’s scepticism about grandiose redistributive schemes,” that it “opposes all undue curtailment of an individual’s economic or personal freedom,” that it has endorsed “the candidate or party most likely to pursue classically liberal policies,” and these have included some “on the right, like Margaret Thatcher, and on the left, like Barack Obama.” Obviously the liberalism of The Economist and of Fawcett is more complex than proponents and critics of U. S. liberalism are likely to acknowledge. He declares that “liberalism has a history, practitioners, and an outlook to guide them,” and his book is an attempt to tell the “story of all three.” In his Preface and Introduction, he introduces us to the outlook and sets out his time frame. The remaining chapters tell the history, mixing appropriately thinkers and politicians. Fawcett’s biographical details not only enliven his book, but help us understand better the popularity of some of Fawcett’s “liberals.” We learn, for example, that economist Milton Friedman had a TV show on public television (actually a 10-part 1980 series) and, for 18 years, a Newsweek column. Biographical information also helps flesh out a thinker’s abstract ideas, grounding them in concrete reality. It is certainly relevant, for example, to know whether or not a person’s professed liberalism was adhered to or violated in his or her personal life. After Fawcett informs us that the influential John Rawls—16 pages are devoted to him and his critics—was “universally admired, even loved,” that “colleagues remember his kindness and wry humor,” and that he thought the atomic bombing of Japan was immoral, we have a more rounded picture of the man whose A Theory of Justice (1971) influenced so many liberals, including a young Barack Obama. Reviewers often criticize, fairly and unfairly, books for what they do not include. So here is my brief list of some items I would have liked to have seen given more space. ● In treating the important thinker Isaiah Berlin, mention that he greatly admired Franklin Roosevelt and, according to a friend, was passionately against Thatcherism. ● More treatment of liberals’ reaction to consumerism, globalization, foreign affairs, and war. ● Some consideration of how non-Western thinkers and politicians regard liberalism. Despite this criticism, however, Liberalism is an important and worthwhile book. The writer Wendell Berry once wrote about fellow writer Edward Abbey: “For me, part of the experience of reading him has always been, at certain points, that of arguing with him.” One does not have to agree with all the points of an author to benefit from his/her book. 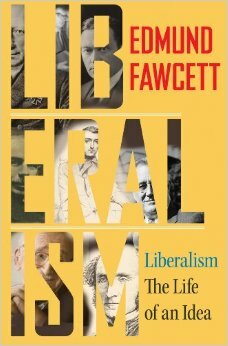 Although I may not include Reagan and Thatcher in my list of liberals, Fawcett is right to insist that liberalism remains important even if we limit it to recognizing perennial conflict within society, distrust of power, faith in human progress, and respect for people. He realizes that the conflict of ideas and interests, as well as respect for others, necessitates tolerance and compromise. For some liberals, as he acknowledges, this may not be enough. We know, for example, that they may (or may not) also burn with a passion for justice, helping the poor, or a hatred of war. But such virtues as tolerance remain vitally important. Horrors like the Holocaust and more recent reminders like the HBO documentary Hunted: The War Against Gays in Russia should never let us forget this. In his final paragraph Fawcett refers to Chekhov, which reminds one of how he disliked being labeled, as he said, by those “determined to regard me either as a liberal or as a conservative.” In the end, it remains less important how we label ourselves than how humanely we behave toward others, individually and collectively. This was true in the era of the great Russian writer and humanist, and it remains so today.